"How can one speak of Munich but to say that it is a kind of German heaven"? Some people sleep and dream they are in Paradise, but all over Germany people sometimes dream that they have gone to Munich in Bavaria" (Thomas Wolfe, American author). Hotel Kraft is something like a "primary rock" in Munich's gastronomical scene - for many regular customers it has become a second home. As our house is always lovingly maintenanced and permanently modernised, as well as adapted to the high demands, all guests feel comfortable here. 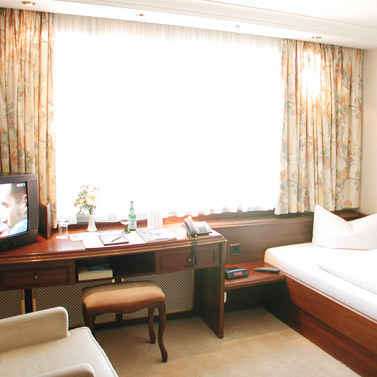 the central, but nevertheless quiet location provides favourable effect: professors, tutors, guests and freelancers of the nearby University hospitals appreciate the Hotel Kraft as well as businessmen, tourists or Oktoberfest guests, who prefer little less bustle after the party! 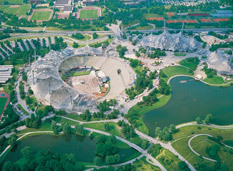 Trade fairs, congresses, conferences, exhibitions, theater, opera, museums, sport events, Oktoberfest, Christmas market, ... this all can be reached simply - most of it is in walking distance.